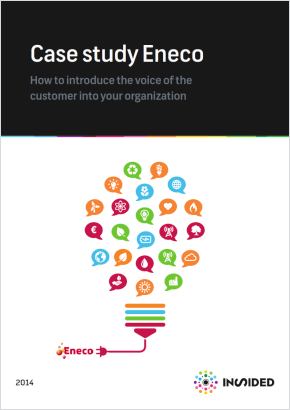 How to introduce the voice of the customer into your organization. Eneco is a Dutch energy supplier with the stated mission of ‘Sustainable energy for everyone’. The way Eneco pursues this mission goes beyond simply supplying energy; the customer is also seen as a partner. As consumer preferences continue to evolve and the energy marketplace grows in scope and complexity, engaging consumers will become increasingly important. Whether energy providers focus on improving customer satisfaction, acquiring new consumers, retaining existing consumers, driving behavior change or extending beyond the commodity, consumer engagement will be at the center of these strategies. However, building long-term satisfaction and loyalty increasingly requires innovative approaches that go beyond the traditional energy experience.